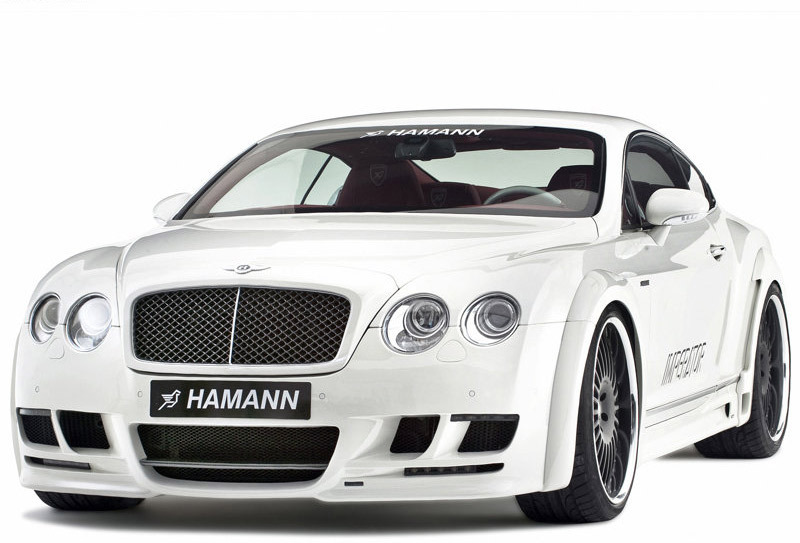 All over the world, the company Hamann-Motorsport is renowned for refining luxury cars. With the new programme for the Bentley Continental GT and Continental GT Speed by the English manufacturer Bentley, the company located in Laupheim once again confirms that it is the first choice when it comes to sportive accessories and breathtaking body design for luxury car models. 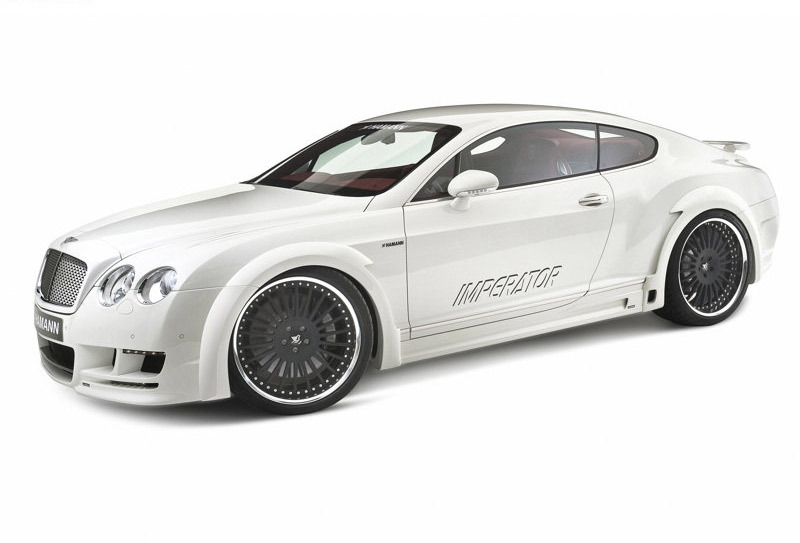 Sportive elegance is the hallmark of the Hamann Imperator design: In order to meet the high expectations in its appearance and aerodynamics, the Hamann -designers completely reconstructed the front of the four-seater. Larger air inlets in connection with perfectly integrated daytime running lights give the Bentley an even more dynamic face. 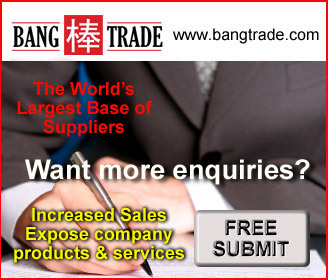 Additionally, the newly designed front optimises the air flow and therefore reduces the lifting forces at the front axle. Impressive extensions at the front and rear wings broaden the Hamann Imperator by 70 millimetres and are contribute significantly to the powerful overall impression of the Hamann modification. The Hamann side skirts were modelled in such a way that they calm the air flow at the sides and make the noble sports car look even lower and more elongated. 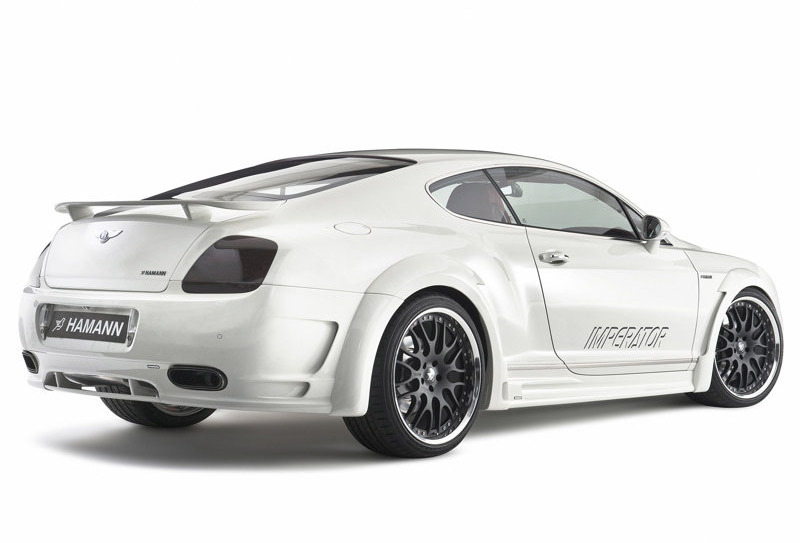 In order to reduce the lifting forces at the rear axle, the Hamann technicians fitted an elegant spoiler on the original boot lid of the Bentley and combined it with a diffuser rear skirt for additional downthrust. Matching the striking appearance of the Imperator, Hamann uses new rims of the type ANNIVERSARY RACE "ANODIZED" in the dimension 22 inches. The exceptionally light, multi-part forged wheel has a high-gloss polished rim flange and a black anodized rim star. The recommended wheel/tyre combination for the front is 10.5Jx22 inches with tyres measuring 265/35 R 22. At the rear, 11.0Jx22 inch rims are used with tyres measuring 305/30 R 22. 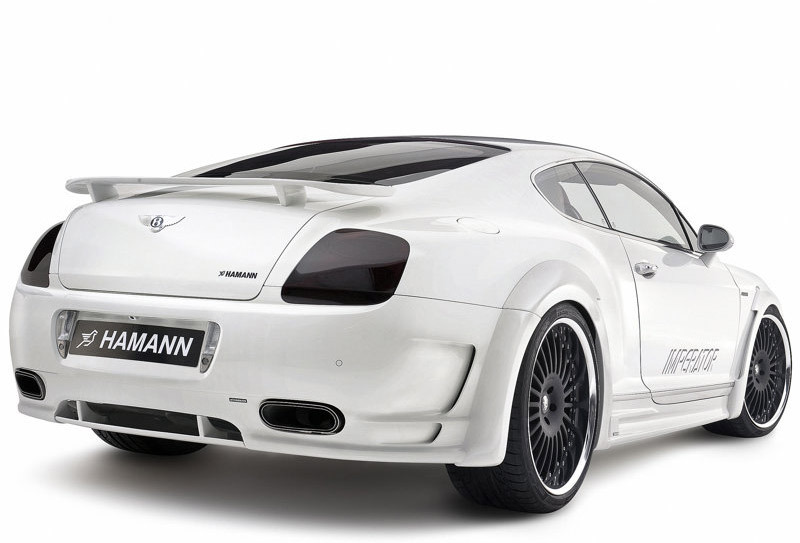 Hamann even offers a 21-inch alternative. Under the designation DESIGN EDITION RACE ANODIZED the refiner offers an ultra-light forged wheel which unites sportiness and elegance in its design. The black rim star and the titanium bolts emphasise the dynamics of the wheel while the high-gloss polished rim flange confirms the noble look. Hamann offers the 21-inch wheel with tyres sized 295/30 R 21. The new aluminium wheels are especially put in the limelight with the special chassis springs which lower the centre of gravity of the Continental GT by 30 millimetres at the front and 20 at the rear axle. 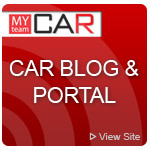 At the same time, the handling of the sports car is significantly enhanced. With a powerful performance enhancement, Hamann offers the core part of the refining programme. The upgrade includes a sports end muffler with oval stainless steel end pipes and a new engine management. The result for the Continental GT Speed engine is an extra output of approx. 40hp /29kW and a torque increase by 90 Newton metres. The aggregate of the Continental GT even improves by 70hp/52kW and advances its torque by an additional 90 Nm. In addition, the maximum speed for both engines rises by approx 5km/h compared to their serial counterparts. An interior highlight is the ergonomically newly designed 3-spoke sport steering wheel. 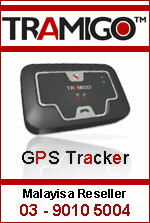 Due to its new shape it lies much better in the hand and still offers all functions of the serial steering wheel. In the Hamann upholstery, the wheel is covered with most precious leather and enhanced with applications made of carbon fibre - this perfectly goes with the multi-part interior set made of same material. No matter if you are looking for black piano finish, leather or ultra-suede - we have everything that makes your heart beat faster. 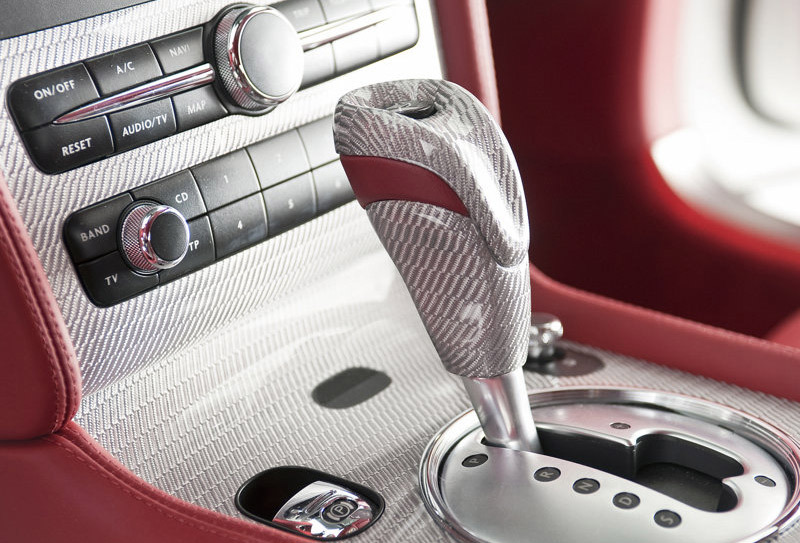 From the personalised floor mat set to a complete leather trim, everything is produced with artisan precision. 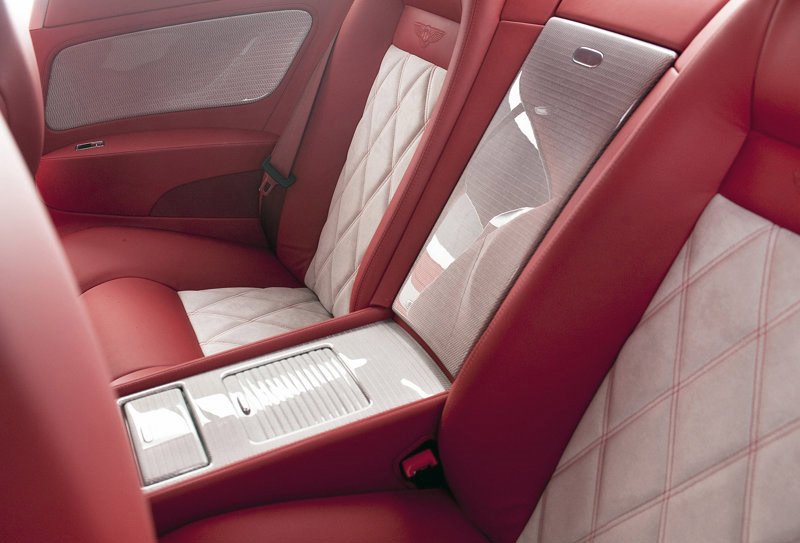 Individually designed and fitted in the car by expert hand.